World Health Organization (WHO) said on Sunday it provided emergency medical assistance to Libyan hospitals. 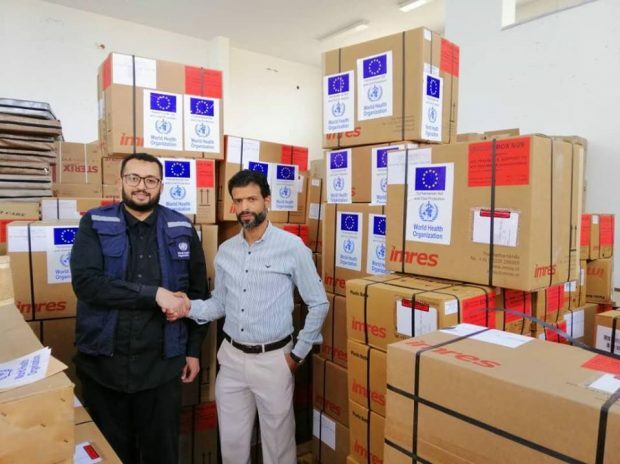 WHO sent 10 trucks loaded with emergency medical supplies and trauma kits to 10 major hospitals in different districts of Libya on March 23, providing desperately needed materials to treat diseases and injuries, the health organization said in a statement. WHO added that the shipments were supported by European Civil Protection and Humanitarian Aid Operations (ECHO). The supplies are expected to treat nearly 1.3 million patients for three months, while the trauma kits can support the hospitals to treat almost 2,000 injuries, the statement explained. “ECHO funding has enabled us to upgrade the capacities of major hospitals in war-torn areas to respond to major crises and strengthen their readiness,” said Syed Jaffar Hussain, WHO representative for Libya. “In addition, support from Germany has enabled WHO to deploy rapid response teams to 15 hospitals, while Italy has funded stocks of contingency supplies,” the statement added.